Flight Flix LLC takes pride in quality products and top notch customer service. We are a Minnesota based company with years of experience mounting cameras to all types of aircraft. Our licensed IA mechanics, commercial pilots, and electronic engineers make up an experienced staff you will not find anywhere else. We work with industry leading DERs and DARs specialized in certifying aircraft modifications. With challenges such as FAA regulations, harsh camera environments, and custom equipment needs there is no better choice than at Flight Flix. Our FAA friendly camera mounts are safe and secure. Our mounts will not flex, fail, or fall off. Tested at over 280 knots, the quality aluminum construction resists shake in extreme environments. Rock Steady mounts have been installed on over 100 aircraft types by Flight Flix customers. With aircraft operational costs you can’t afford not to use our products to capture rock steady video. Risk of flying with exterior suction cup mounts, sticky mounts, or breakable plastic mounts is frowned upon by the FAA and is not worth the liability. Ask us about mounting options for your certified aircraft. We do FAA approvals too! Not sure what you need, what is legal, or how to solve an issue with your existing equipment? Ask us. 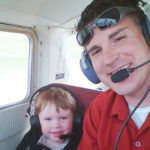 We have years of experience as pilots, mechanics, and camera operators. There are many simple and effective ways to mount a camera to your aircraft. We have solutions for anything from a J-3 Cub to a corporate jet. Please Contact Us if you are interested in carrying any of our products. Bulk order discounts are available. Flight Flix LLC owns the patent on the remarkable jello free camera mount. 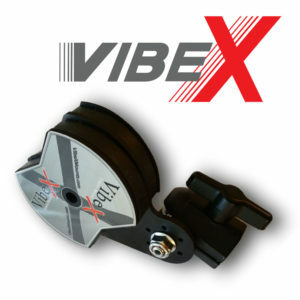 This rugged camera mount isolates the camera from air frame vibration with a specially formulated gel placed where it matters most…… At the camera. 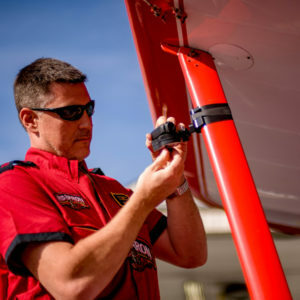 When HD video cameras hit the market, pilot and mechanic Ryan Mohr began mounting cameras to airplanes. He quickly learned what vibration does to HD cameras. Frustrated from not getting any usable video due to vibration (jello effect) he started looking for products to get better results. After realizing this product didn’t exist, Ryan experimented with numerous materials and designs on a variety of aircraft to develop the perfect solution. Using cameras in aviation can be the most challenging with high speeds, high horse power, and extreme environments. Designing a mount that works for all aircraft defaulted in a product that gives results on any vehicle. Click here to help us find the right product for you.